Please select “Click Here” and it will directly lead you to the online registration website. If your selected class is full, please register for other available classes or wait for the next class. No registration via telephone. Kindly do not sign up more than once. 1. Dress code: Soft cotton t-shirt and cotton track pants, bring along a bath towel and a face towel & trim your nails. 2. Download and print out the English Handbook, please bring along. 3. Due to long hours of attending the class, please make proper arrangement and ensure that you have sufficient rest and stamina. 4. You are advised to visit the official website of C.C.H. 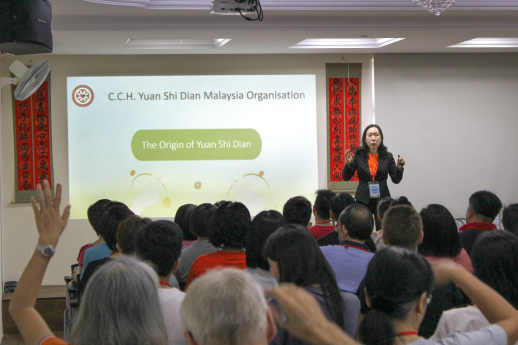 YUAN SHI DIAN MALAYSIA ORGANISATION and repeatedly watch Dr Chang’s latest talks, 2017 Talks ~ Australia Chapter: Effects, YSD Case Studies and Hands-On Technique videos prior to the class and this will help you to have a better understanding of Yuan Shi Dian theory during the class. 5. Numbers of participant: 100 participants and must be above 18 years old. 6. Those who did not attend or complete the Basic Theory Class will not be allowed to attend the Hands-On Technique Class. 7. 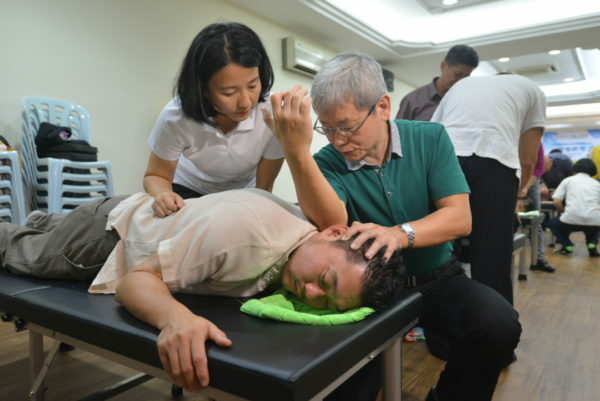 The intake of the Basic Theory Class and Hands-On Technique Class shall be based on the name list announced by the Organiser. 8. The Participants are required to check the intake name list announced in the official website of the Organiser. 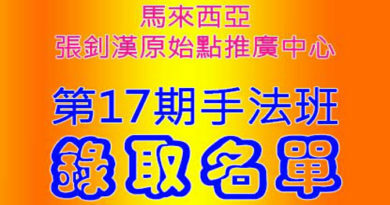 The Organiser will not give any other notice to the Participants. 9. Those who already registered for the class but failed to attend or complete the class, the Organiser reserve its rights to cancel or not to accept his/her next intake. 10. Meals are not provided. 12. We do not replace participants for any shortfall of attendance, so please do not wait at the premises. 13. Video recording and photographs taking are strictly prohibited. 14. Participants are not allowed to conduct any business activities in the premises. 15. Speaker: The compassionate volunteers. 16. Registration Fee : Free of charge. We welcome your donations to support this acts of kindness, so that the future generations will continue to benefit from it. 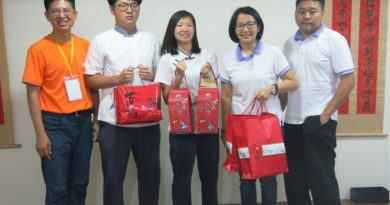 We are very thankful to those who have contributed for the venues, teaching materials and aids, in order to allow everyone to learn and promote Yuan Shi Dian. Thank you. 2. Please feed back to us should you find any conduct which is against the principle of Yuan Shi Dian Malaysia Organisation to enable us to investigate and recommend diligently in order to truly benefit the public. Thank you for your support and supervision.